What comes to your mind when you hear about the accomplishments and success stories of Uber, Airbnb and more? The best thing about success is the fact that it is directly influenced by you. Every entrepreneur wants to be an exception, but do you know what it takes to become a multi-million dollar company? 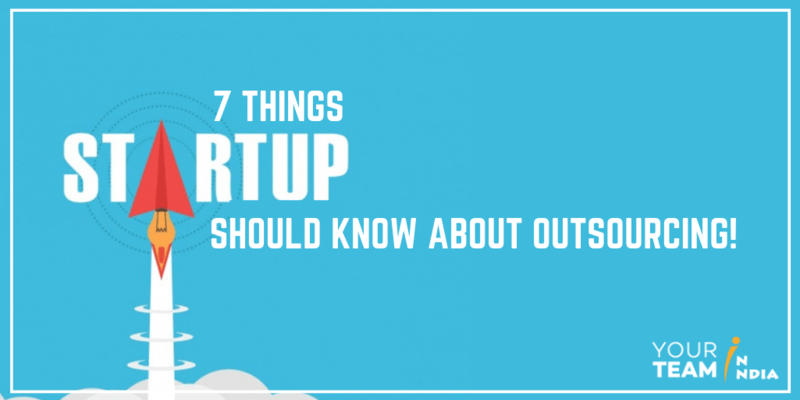 Do you know that outsource development helped many prominent start-ups to get on the top? Yes, that’s true. A study by Intetics revealed 60% of the overhead cost is saved when the projects are outsourced. Start-ups don’t really fail. The owners tend to quit too soon as they initially set unrealistic goals. So, it is always better to take one step at a time. Always keep in mind the bigger picture. It is a vision you should be proud of. This list of outsourcing company is huge. You can easily find the skilled offshore developers in the US, Europe & Asia. Every company significantly differs in terms of work and size. But as a CTO, it becomes difficult for you to choose the right partner for your organization. Especially because of the terms, conditions, and services being offered. • What is the number of projects? • Which specialized skill set you are looking for? Once you have answered all of them. Then move further. • Do the developers focus both on technical and soft skills? • What is the yearly benefit of connecting with a team/company? • Is the way the developers speak is professional? However, when you are clear with what you want, make sure you take a wise decision. Reference is the best source of confirmation when it comes to the ability to live up to the commitments. Before hiring the remote team of developers, it is imperative that the references should be contacted via phone or email. Their contact number will be visible on their website so it is good to find it from there. You can also find it from directory or listing site of your country. Do they have a LinkedIn profile? Is it listed on Glassdoor? Does it have verified social media platforms like Facebook, Twitter, Instagram? The company should know what tasks have to be defined by the service providers beforehand. The outsourcing company is amenable to adhering to the client explanation if clearly defined. Meeting the demands of the potential customers requires a professional team that works efficiently to develop software and modify the code. This may certainly require some extra effort and work but having detailed and well-defined standards help clear all dilemmas. When technology is considered to generate profits, it is vital that it becomes a medium capable of sustaining the objectives of the business. If you are planning to incorporate the latest features and technologies, it is imperative that you have an amazing team that can handle it too. The technology you use should be able to handle multiple users and a feature of multi-system failure and recovery. For example, mobile usage has been increased to 65% in the past year. If you are planning to create a mobile app, you cannot rely on professionals who have no idea about responsive design. Also, if you are looking forward to generating traffic, customer leads from search engines, make mobile-apps friendlier by hiring dedicated mobile app developers. You may be worried about the pounds and pence, dollar and cents. Most startups are ready to throw their money into anything that they feel will boost their launch process. A startup budget should have a delicate balance. Every single spending point should be planned. Setting a realistic budget acts as a game changer for any startup. If the budget is continuously tweaked and not followed, you may have to face financial trouble later. So it is recommended not to set the budget too high. The cost of outsourcing the project depends on what you want to accomplish. Based on the facts, offshore development is the best way to save cost & money in the long run. The development team itself selects the most qualified and skilled developers for the project. No communication is considered successful until it is interactive. Don’t choose an outsourcing company if it doesn’t guarantee personalized communication. Else you will have to face technical issues. Every message or email needs quick revert. This way, two parties can work collaboratively. Effective communication promises desired results as per expectation and solving the issues. Be clear: Clarity is paramount. If the company is unable to communicate properly with you, there always will be bumps in the road, setbacks, and delay. Confirm: Cross check the deadline, requirement, and expectations with the developers. Be specific in terms of actions, time, feedback, compensation and payment. Tone: A tone can be misinterpreted sometimes. Be cautious about abbreviations used and assumptions that can be misinterpreted. Comprehend the timezone difference while making the decision of outsourcing your services. Bandwidth and connectivity should never be a problem. The developers should have a technical communication infrastructure having exceptional networking capabilities. Make sure to put your project into safe hands by discussing your requirements and expectations clearly. Do you have rights on your mobile app idea? Most startups have no clue about the copyright regarding their idea. Do you know that 61% of the Asian countries software is pirated from western countries? So, when you are outsourcing the product, don’t forget to secure your intellectual property against theft or misuse. Create contracts and non-disclosure agreement for the same. Get all your questions answered from a legal adviser when in doubt. As a smart business owner, it always comes down to money. Ask yourself, are you generating enough to keep the business running? Never consider quantity over quality. Everyone wants to gain more profit with minimum investment. To generate profits without compromising over the quality, you should consider choosing an offshore development team. Even Google’s top-notch team of 89000+ professionals can’t manage all the tasks by themselves. And for this reason, they outsource. You don’t have to be a global powerhouse to get best results from outsourcing. When done right, even startups can achieve success while hiring a great outsourcing company. With the help of the aforementioned checklist, you will know what to consider when outsourcing. No need to implement everything all at once but do follow one step at a time to ensure the success for your business.